Farley was born in Madison, Wisconsin, the son of Mary Anne (née Crosby), a homemaker, and Thomas Farley, who owned an oil company, Scotch Oil. 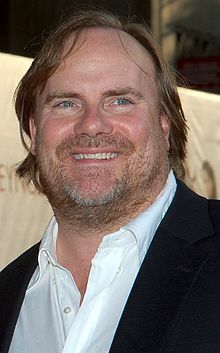 He is the younger brother of Chris Farley and older brother of actor John P. Farley. Like his brother Chris, Kevin Farley attended and graduated from Marquette University. Farley is best known for portraying "Doug Linus" in the fictional boy band 2ge+her. He has appeared in alongside many of Chris Farley's Saturday Night Live castmates, such as David Spade and Adam Sandler. He was credited in Tommy Boy and Black Sheep as Bouncer, then in Beverly Hills Ninja as Police. He also appeared in The Waterboy and in Dirty Work as an employee of a cinema. He played a cop in the 2001 film Joe Dirt starring David Spade. In 2005, Farley appeared in the Lifehouse video for the band's single "Blind". He portrayed a neglectful father who brings different women home, where he lives with his daughter, played by Tina Majorino. Farley appeared on the HBO series Curb Your Enthusiasm as an exterminator in the episode "The Rat Dog". Farley was also in a Dairy Queen commercial advertising the Kit Kat Blizzard, commercials for Hertz Rent-A-Car, and portrayed Felix the limo driver on Disney's That's So Raven. He also starred in the parody movie An American Carol with Kelsey Grammer and Jon Voight in 2008. Farley appeared on The View (September 30, 2008) to promote the movie. In 2007, Farley was featured in the web serial Two Guys Drinking at a Bar. Farley appeared at the 2008 Republican National Convention, and during an interview with 97.1 FM Talk's Jamie Allman he identified his politics as mostly conservative. Farley appeared as the kidnapped beer truck driver in the 2010 music video for "This Afternoon" by Nickelback. In May 2010, Farley appeared as a guest on Tom Green's House Tonight where he performed a section of his new stand-up routine. Farley directed the film Hollywood & Wine, which was released in 2011. On May 9, 2013, Farley was a featured guest for Sirius/XM radio on the Jason Ellis Show. In 2013, Paranormal Movie, a spoof film of Paranormal Activity, was released. Farley directed and also co-stars in the film alongside Carly Craig, Nicky Whelan, William Katt, Tom Sizemore, Maria Menounos, his brother John P. Farley, Kevin Sorbo, Quinton Aaron, Deep Roy, and Academy Award nominee Eric Roberts. The same year, he also starred in an episode of Rules of Engagement. In 2015, Farley appeared in the documentary I Am Chris Farley alongside his brother John and many other stars such as Adam Sandler and Dan Aykroyd which documented the life of his brother Chris Farley. He also filmed independent film Crowning Jules in South Bend, Indiana. In 2015, Farley, along with Jaleel White & Pauly Shore, have appeared on the series Hawaii Five-0 in the Season 5 episode "Hoʻamoano" "Chasing Yesterday" on April 24, 2015. In 2016, he made a guest appearance as 'Turkey' in the It's Always Sunny in Philadelphia episode "The Gang Hits the Slopes." He also made a guest appearance as the NRA card-carrying, gun-toting protester, 'Eric,' in the Superstore episode, "Guns, Pills and Birds." In 2017 Farley appeared in the Rascal Flatts music video as Earl, for their new song Yours If You Want It alongside Kristy Swanson. ^ a b "The Channel". TomGreen.com. Retrieved October 25, 2010. ^ "Chris Farley Biography (1964-1997)". Filmreference.com. Retrieved October 25, 2010. ^ Farley, Tom; Tanner Colby (2008). The Chris Farley Show: A Biography in Three Acts. Viking Adult. pp. 11–13. ISBN 0670019232. ^ "Commercial on YouTube". Youtube.com. Retrieved October 25, 2010. ^ "Two Guys Drinking". Youtube.com. Retrieved October 25, 2010. ^ "Video: Crowning Jules Trailer". Brian Harrington. Retrieved March 10, 2017. ^ "Hollywood actors to throw out first pitch this Saturday | MiLB.com News | The Official Site of Minor League Baseball". MiLB.com. Retrieved February 13, 2017. This page was last edited on 30 March 2019, at 23:42 (UTC).